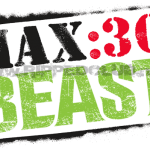 Body Beast and weight loss are almost an oxymoron to most people who have seen the nutrition plan that goes along with this workout program. You pretty much have to have the appetite of a 16 year old line backer who is training with daily doubles and just hitting his stride in puberty…scary amounts of food to most people. In reality, most people who are doing Body Beast want to gain muscle but their primary goal is to lose fat! And thats exactly what I outline below: How you lose weight with Body Beast using a very specific formula for determining your calorie intake. Gaining mass is pretty simple – you eat at a surplus. A surplus is where you are eating MORE calories per day than your body burns. Losing weight is likewise just as simple – you eat at a deficit. A deficit is where you are eating BURNING more calories per day than you are eating. It dont get much more simple than that…Most people dont know where to start for a calorie intake though. 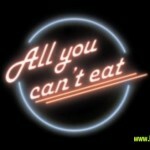 So first things first…you gotta know how to determine how many calories you can eat to maintain your weight. In the video below I will show you the formula that you can follow to calculate this and then I will help you determine what your calorie intake should be. 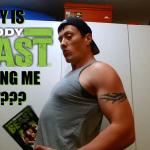 Whether its a calorie intake for women doing Body Beast or calorie intake for men doing Body Beast – I show you where you can start from and how to get to where you want to be. Lets get to’er! Hey could you do me a huge favor and click the Like & Share buttons? 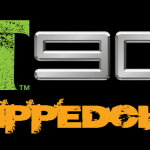 This is how you can team up with RIPPEDCLUB and get this kind of info into the hands of people like yourself that are wanting to lose fat with Body Beast. You’re a rockstar and the Body Beast gods will shine down gains upon you if you do share this, lol.